In his latest collection of works, the artist danced round diverse stories under his solo exhibition titled: ‘Head to Toe: Re-interpreting slippers’. 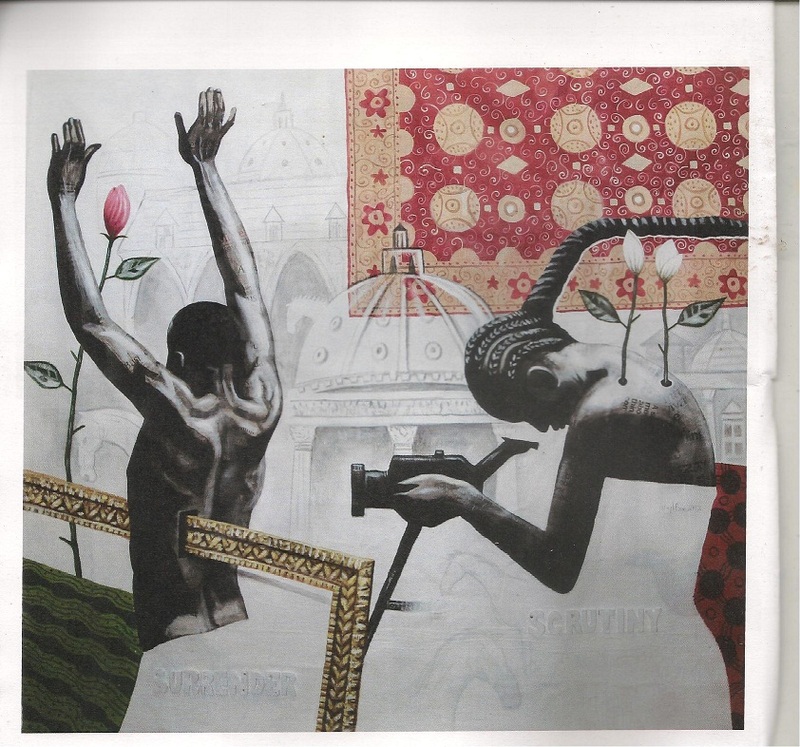 The different works featured at the exhibition showed how Eze explored issues of underlying interests that drive people to do things; the importance of self-motivation and staying focussed; hope for renewal; needless search for satisfaction; and interestingly, how man perceives what he has and sees daily. As a matter of fact, I consider Eze’s new collection as a journey through spheres of life and doing so not in a hurry. The piece of work titled ‘With Strings Attached’ is a mixed-media which bears the artist’s identity of working with slippers. The power of creativity is seen as strings from slippers are beautifully used as decorative pieces on large portions of plaited hair. Eze explains that interestingly and factually, everything in life is done with ‘strings attached’ to them; couples stay together for their common interest; even when parents give gifts to their children; when people engage in any form of work, and many other examples. 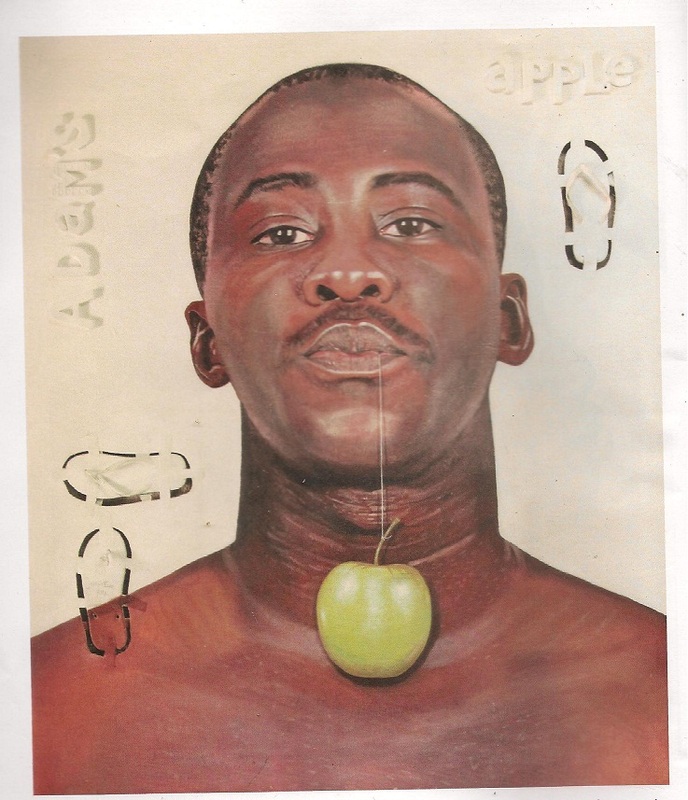 I admire his depth of thought in the self-portrait title ‘Adam’s Apple’. Tied with a thin string that is secured with the teeth, the apple appears to be so close to the mouth, but it requires some effort to bring it to where it can be eaten for satisfaction. The artist says the apple represents the desire for good things, but that it can only be achieved through concerted efforts and persistence. Eze X-rays a very common attitude that people express with what they have a privilege of having. 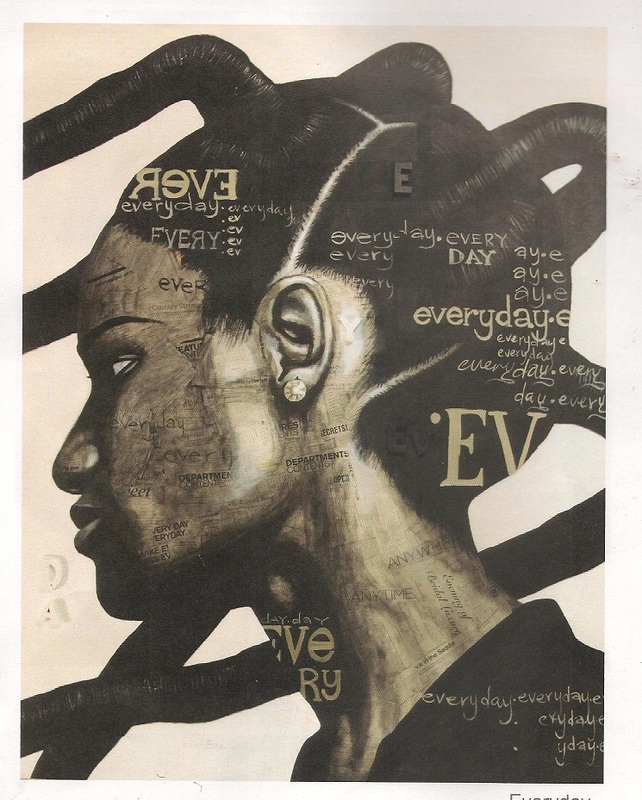 Like the proverbial prophet not being regarded in his own home, his piece of art called ‘Everyday’ typifies how a man regards a wife he sees every day. He sees nothing special about her, after all, he comes back home every day to see her and eventually she is like a piece of furniture. 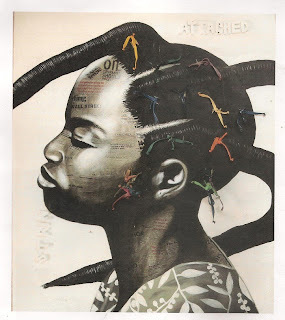 This latest collection of Eze’s works, made up of over 20 art pieces, is definitely a collector’s choice with a difference.